Hassan Mndiga guides the visitors through the demonstration garden to compare and contrast vegetable varieties. 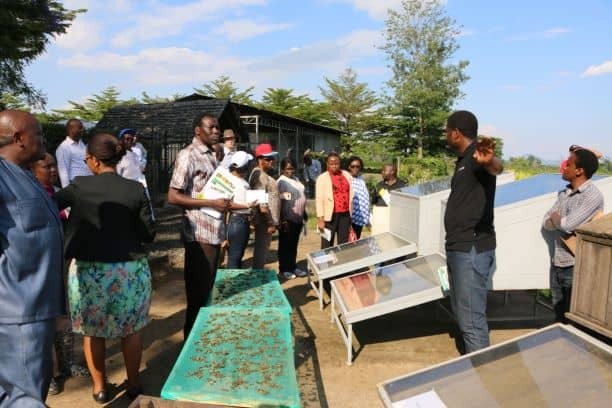 On 30 October 2018, 15 members of a high-level committee from the East African Community (EAC) visited WorldVeg Eastern and Southern Africa in Arusha, Tanzania to learn about agricultural activities in the region and prospects for future research and development work. The East African Legislative Assembly (EALA) is one of the Organs of the East African Community (EAC) established by Articles 9 and 49 of the Treaty for the Establishment of the East African Community. 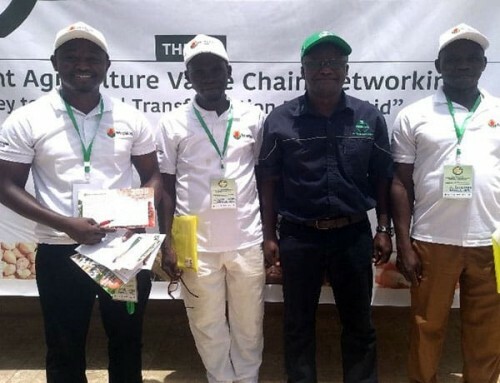 The Assembly established six standing committees, one of them being the Committee on Agriculture, Tourism and Natural Resources (ATNR) — the group that toured WorldVeg. The Assembly is a strong, effective regional body and has registered a number of achievements in legislation, oversight, and representation. 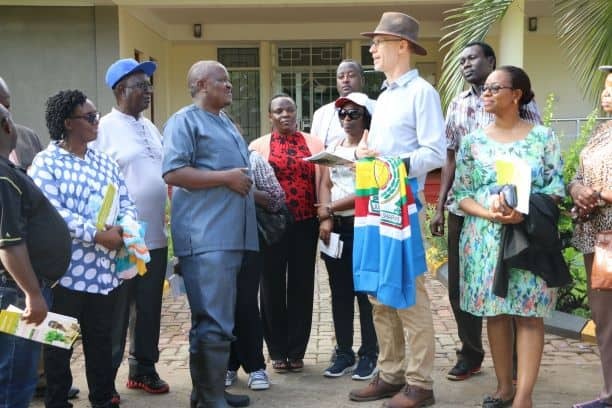 Where assembly members travel, the media is sure to follow; four TV stations from NTV Uganda, Republic of South Sudan, Burundi, and EALA Media recorded the committee’s visit to WorldVeg. 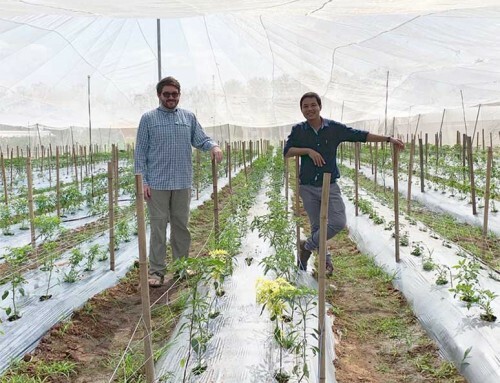 Dr. Ralph Roothaert showed the visitors the WorldVeg genebank — which has the continent’s largest collection of traditional vegetables — and described the various ways WorldVeg’s high quality seed reaches farmers in the region, often through strong partnerships with private seed companies. 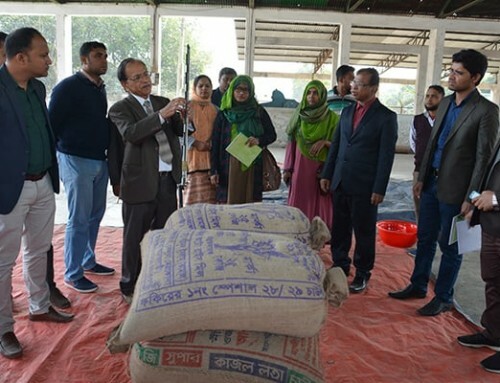 Committee members wanted to know more about how these valuable seed sources would continue to reach future generations of farmers, and they were assured that the public rights of these seeds were well protected to serve humanity in the future. 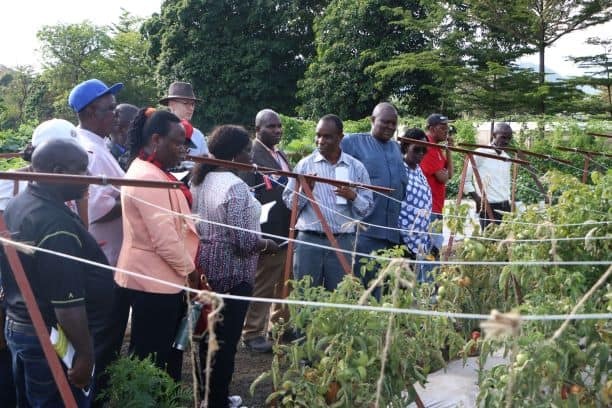 The committee was impressed by the activities of WorldVeg and its impact on the wider East African community; many members said the tour had been an eye opener and an excellent opportunity to learn about the seed distribution process and vegetable production and consumption issues in their region. They voiced support for the Center’s mission to tackle undernutrition, obesity, and malnutrition through African traditional vegetables. Several members were keen to forge further relationships between WorldVeg and their institutions at home. Hon. Mathias Kasamba, Chairperson of ATNR presents a flag of the East African Community to Dr. Ralph Roothaert. The visitors view different low-cost solar dryers on display. 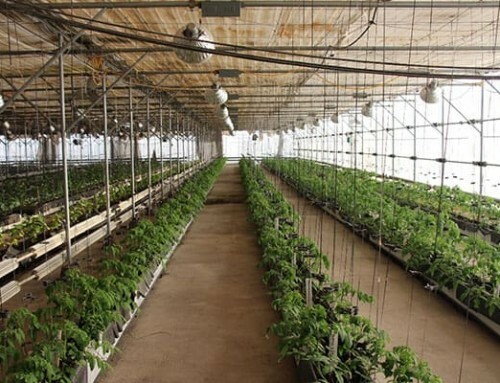 Drying is a good way to preserve vegetables and extend their availability throughout the year. 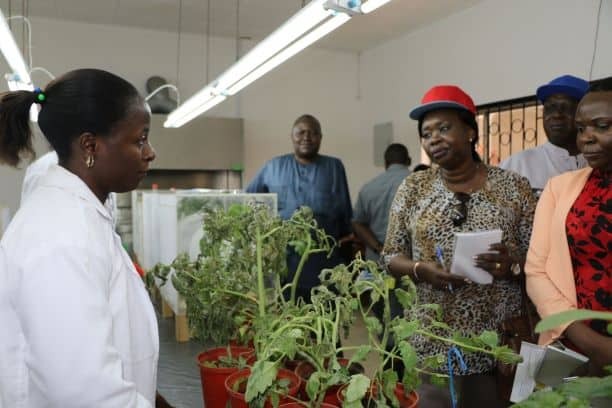 Never Mwambela gives a tour in the entomology laboratory where the visitors learn about the pest Tuta absoluta in tomato. 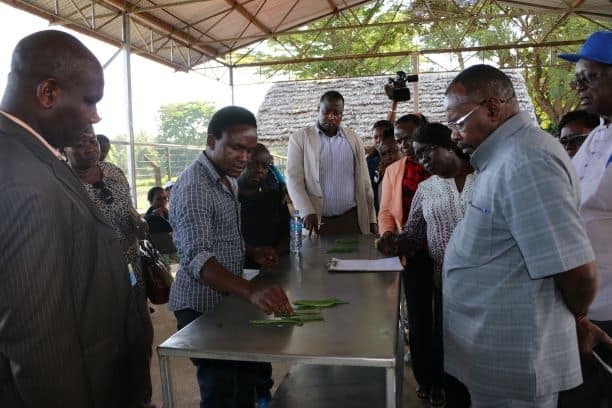 Visitors receive a demonstration in grading of French beans by Nixon Mowe in the post-harvest training unit.